The next how to: academia webinar is coming soon! Welcome to how to: academia, an annual webinar series about how to be a successful academic. reflect on your identity as an academic and/or higher education professional. You want to better understand the why of what you do. You need additional motivation at this stage of your career. You need tools and templates to help you be more reflective. You’re ready to deeply explore your professional values and goals. one webinar at a time. 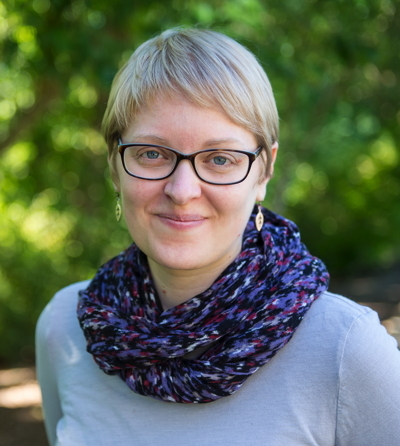 Dr. Katie Linder is currently the director of the Ecampus Research Unit at Oregon State University and the host of the Radical Self-Trust Podcast Channel. Katie is an avid writer and researcher with a passion for process and peeking behind the scenes at what it takes to be a successful academic. She is a three-time book author and four-time book editor. Katie is also the editor of a forthcoming book series from Stylus Publishing called Thrive Online. She writes a weekly essay series called The Academic Creative. Her latest works include The Blended Course Design Workbook: A Practical Guide (Stylus, 2016) and Managing Your Professional Identity Online (Stylus, 2018). Katie earned her BA in English Literature from Whitworth University in Spokane, WA, and her MA and PhD in Women’s, Gender, and Sexuality Studies from The Ohio State University. Learn more about Katie’s work and projects on her professional website.